Our team are working hard on several various projects now and we are happy to share with you the photographic coverage of our efforts. 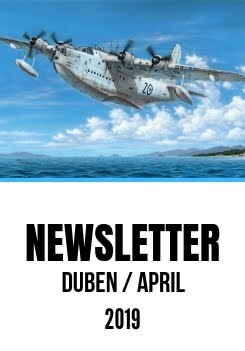 The first of the projects is the floatplane version of Letov Š.328 observation aircraft, in the attached photo you can see our new additional sprue with the floats. Next would be the Casa C-212 kit, you may remember seeing some of the sprues already, now we are about to finish the final frame with some smaller parts. The very first testshot has been just finished and we have to test assembly the parts with those from the earlier sprues. There is flash around some parts, some other parts still need some polishing and also their respective position numbers have to be added but all in all, not that bad I am sure. And in the last couple of photos you can see the test fit of the 3D-printed bomb and bomb rack for our new 1/32 IAR-81 in BoPi version. In the kit, all those parts will of course be of standard styrene format. But now these rapid prototyped parts allow us to check the fit with the rest of the model and eliminate any possible flaw.